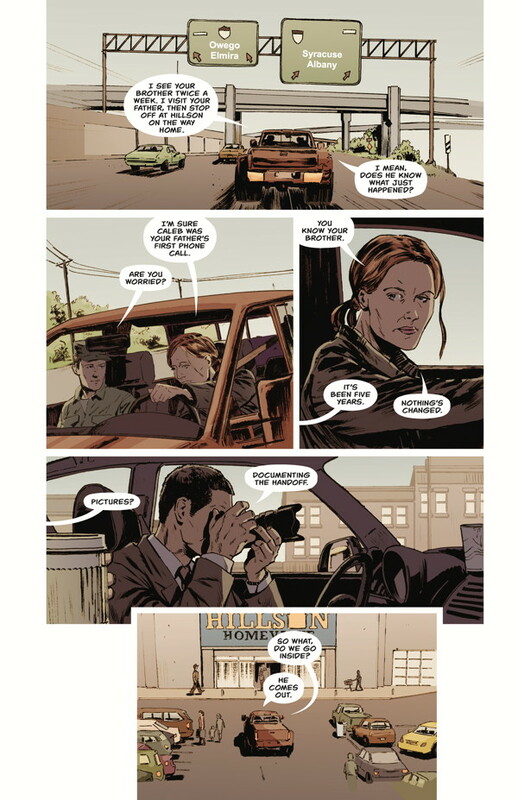 Issue one of Briggs Land, Dark Horse Comics’ new series from creator Brian Wood, only just hit comic book shops today, but an adaptation of the comic may be hitting TV screens in the near future. AMC, which has adapted such comics as The Walking Dead and Preacher, has already offered Wood a deal based on the book’s premise. And why wouldn’t the network? 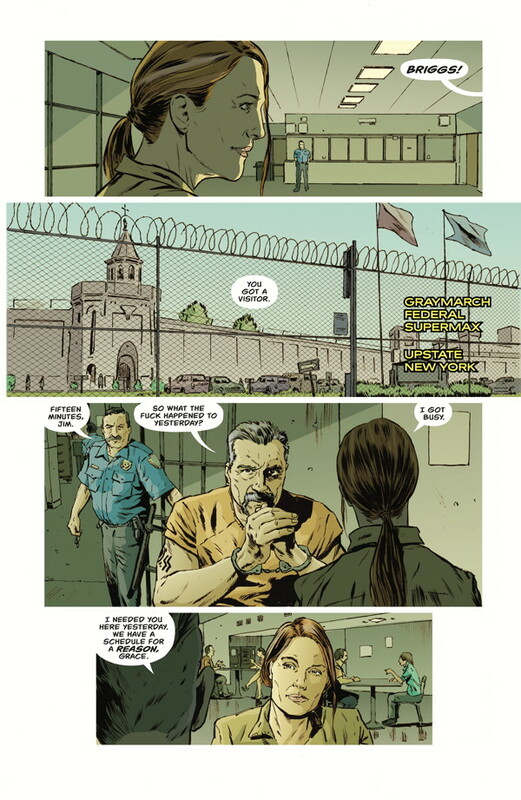 Briggs Land, a story of which centers on an anti-government secessionist group and its ruling family in particular, has all the makings of compelling drama, touching on themes of familial bonds, government distrust, and a darker side of America. Mr. Wood spoke with me recently about the genesis behind Briggs Land, his approach to tackling the book, and his inspiration when writing Briggs Land. 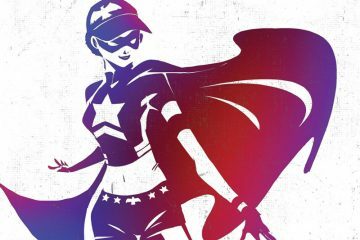 FreakSugar: For folks who might be considering picking up the book, how would you pitch Briggs Land? 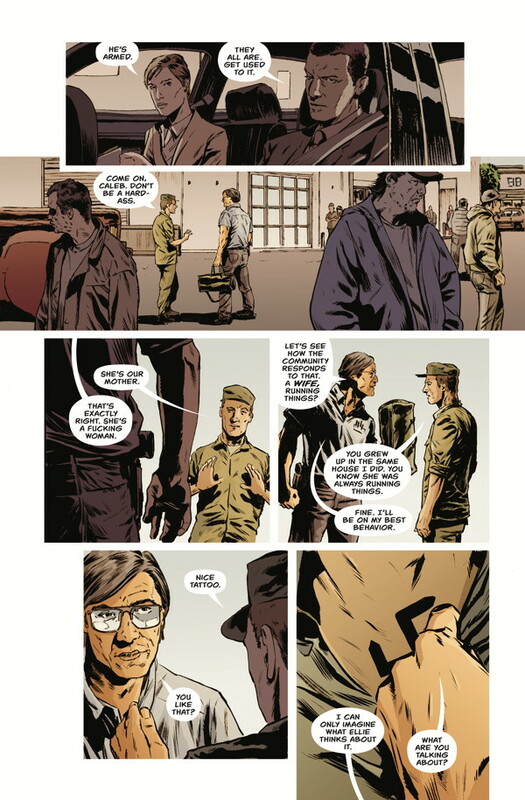 Brian Wood: I usually keep it short and sweet and describe Briggs Land as a generational crime drama set with the American militia community. The Sopranos as secessionists. That pretty much sums it up. 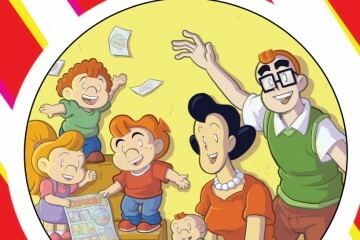 The tagline of the series is “An American Family Under Siege”, which, along with The Sopranos reference, let’s you know that it’s a family at the center of the drama, the heart of the story. FS: Your past work such as DMZ and Rebels is socially, politically, and historically charged. How has your other work informed how you approach writing the series? 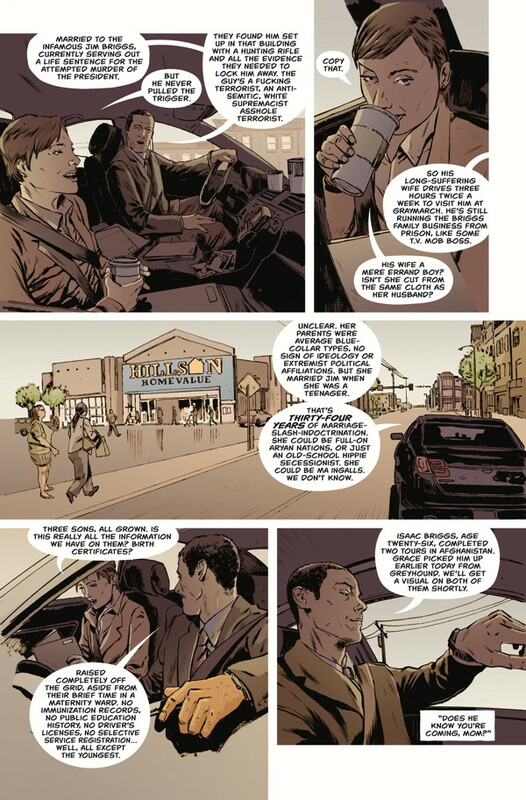 BW: The first comic I ever made, Channel Zero, was heavily political, an attack on Rudy Giuliani’s New York City dressed up as a cyberpunk story. This was 1997. Since then, if there is any one thing I’ve made the focus of my career, it’s been socially conscious, socially aware comics. DMZ, The Massive, Rebels, even books like Supermarket and The Couriers, it’s been this prevailing theme. So all that has led me to Briggs Land, and all that plus Briggs Land will lead me to the next thing. I’m proud of this past twenty years of making comics that may not push me to the top of the sales charts, but they have meaning and gravitas and real world significance and relevance. 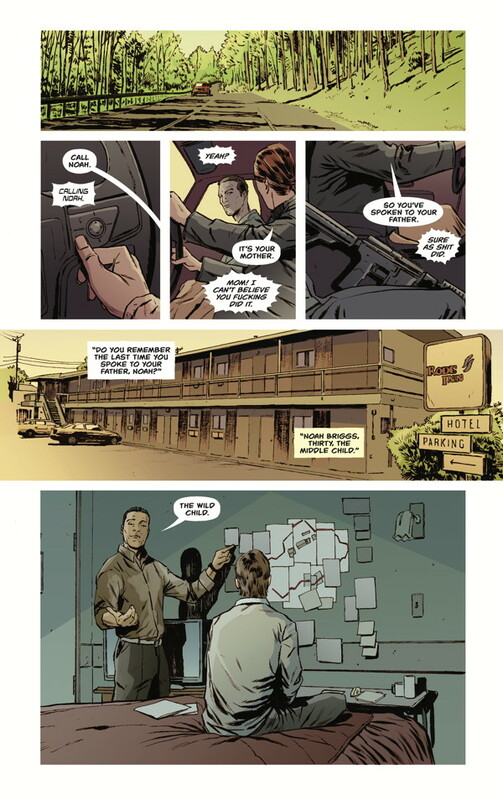 FS: What was the research process like for creating Briggs Land? Do you have any experiences with any of these types of extremist groups? Did you get to talk to any members of any of those groups? BW: The vast majority of the research I do for ANY project is reading books. I read pretty quickly and have good retention, and I find it’s the best bang for the buck. There have been a few occasions where I’ll travel to locations or cites or certain museums for research, and once or twice I’ve interviewed people. In the case of Briggs Land specifically I hit up an old college friend who, in the couple decades since I was in contact, has fallen into a certain type of dissatisfied citizen that has helped me with this project. I know him, we come from the same place, I can put myself in his shoes to a degree and see the world through his eyes. It’s been helpful. 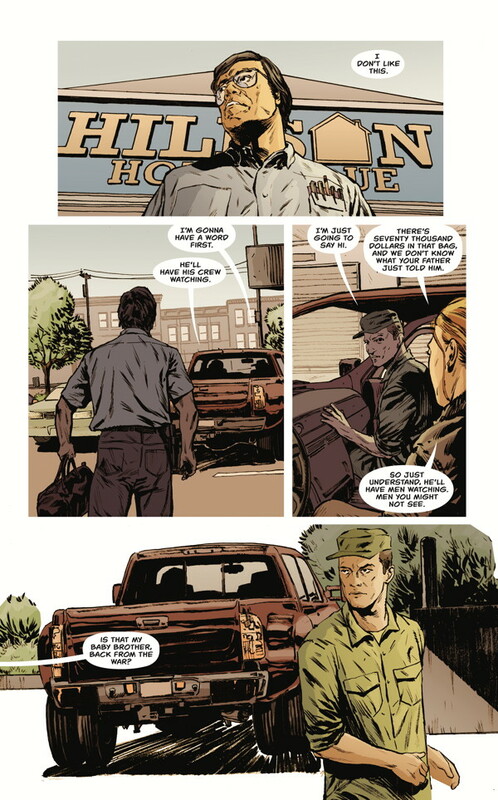 FS: The first issue was gripping, but it made me uncomfortable—not because of the subject matter, but because I grew up around a lot of folks in the south who had the kind of isolationist mentality seen in the series. BW: Someone else asked me about the Briggs, and why they would chose to identify themselves as “An American Family” (from the book’s tagline) if they are so hellbent on secession. I replied that it’s more of a case of the Briggs living the way they do because they are trying to get back to what they see as an uncorrupted America, and what they are trying to distance themselves from is the federal government, the taxation, the banking system, and so on. I go back to my college friend as an example of what you’re talking about. It makes me uncomfortable too, but the good thing about having such a large cast in the book, is that there are Briggs of all stripes, extremists and moderates and even earthy-crunchy hippie types, that the reader isn’t beat over the head with ugliness all the time. 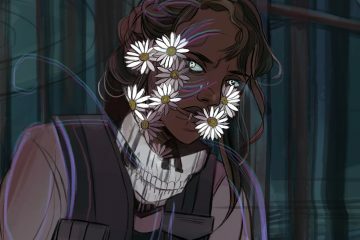 FS: The protagonists in Briggs Land are neither pillars of goodness or evil, but sometimes fall somewhere in the middle. I appreciate that even Grace doesn’t necessarily wear a lily-white hat. 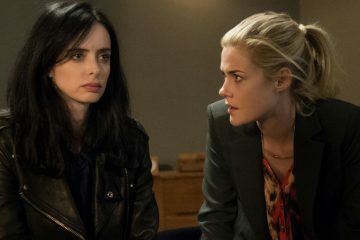 Is there a process you have to go through or a mindset you need to put yourself in in order to write some of the characters in the series? 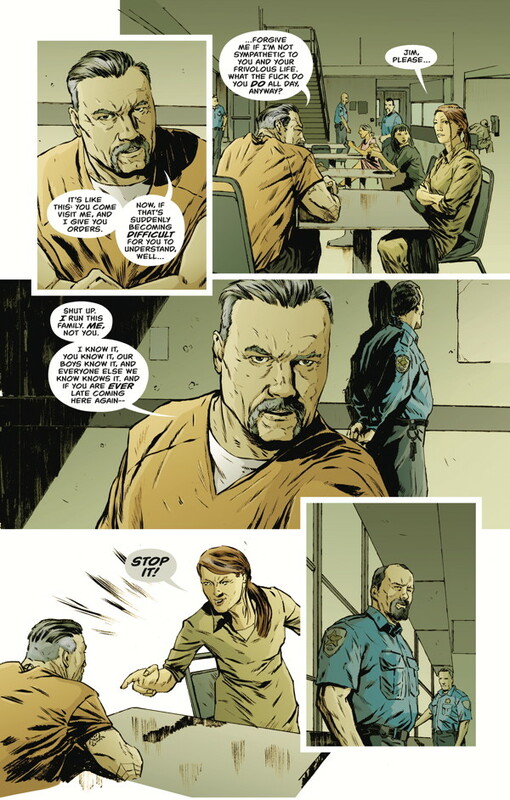 BW: Briggs Land is a crime book, and we’ve all seen enough of the crime genre to sort of get it, to recognize the tropes and the character types and the set-ups. The devil is in the details, though, and yeah, getting into the heads of the individual Briggs can be hard. Grace took a long time to figure out, and she was important to get the right balance, since she is the lead. Caleb, the white supremacist, was also hard, but once I keyed into the insecurity and fear inherent in who he is, it became much easier to write. And so on…. It’s a big cast and it’s a lot of work, but I recognize the key to making this book work is to make all these people as human as I can, so it’s worth it. FS: The art couldn’t fit better with your words—so much of the look of the book has a grainy tone that mirrors the story. How did you decide with the series’ artist Mack Chater what you wanted the look of the series to be? BW: The book is set in Upstate New York, and I grew up just across the lake in Vermont, so it’s all very clear in my head… the foliage, the types of vehicles, the color of the trees, the mountains, the people, the culture. But Mack Chater is from England, as is our cover artist, so communicating that was tricky. In the end it came down to cultural references. I build portfolios of reference using images of rust belt communities, real-world locations like Glen Falls NY and the Adirondack State Park, suggesting films like Winter’s Bone and Out of the Furnace for certain elements, and so on. To his credit, Mack got it immediately. Out of the Furnace is a favorite film of his, so that’s something we go back to often as a shared point of reference. I agree the art fits well, and only gets better as we both settle into the story. FS: The series is a piece of wonderful alchemy that combines matters of organized crime, racism, isolationism, and post-9/11 paranoia. Are there any particular films or books that inspired you while crafting the idea for Briggs Land? BW: I read a couple books on the siege at Ruby Ridge, and a couple on Timothy McVeigh, which put together are two extremes on each side of this topic. I carried over a lot of the research I did for DMZ – the 9/11 stuff, the military stuff – and some books I’ve been carrying around since the 90’s on the topic of American terrorism. Which, oddly, has been the most helpful of all, because it’s pre-9/11 and therefore treated in an entirely different way… more about the culture of the people and the communities, and not part of this global terror thing. It got deeper into the details, which I like. And the fact I’d have these books for that long tells you I’ve been holding a writerly interest in this topic for a long time. 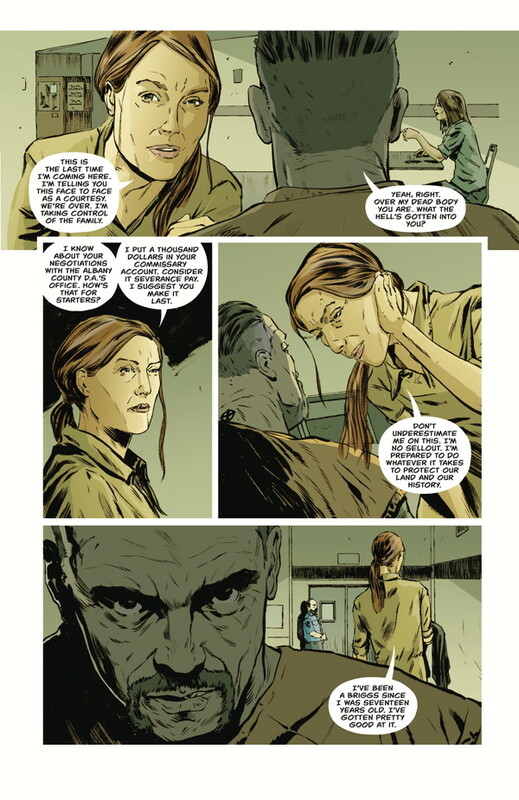 FS: What can we expect to see going forward in Briggs Land? BW: I’m playing with a lot of topical themes – from FEMA to Jade Helm to church shootings to border security. Not everything is all ripped from the headlines, though. I have an arc planned on drug addiction and home-brewed opioids, on home schooling, on prison culture and the history of the AR-15 in these types of communities. The list goes on and on… I mean, it really does. 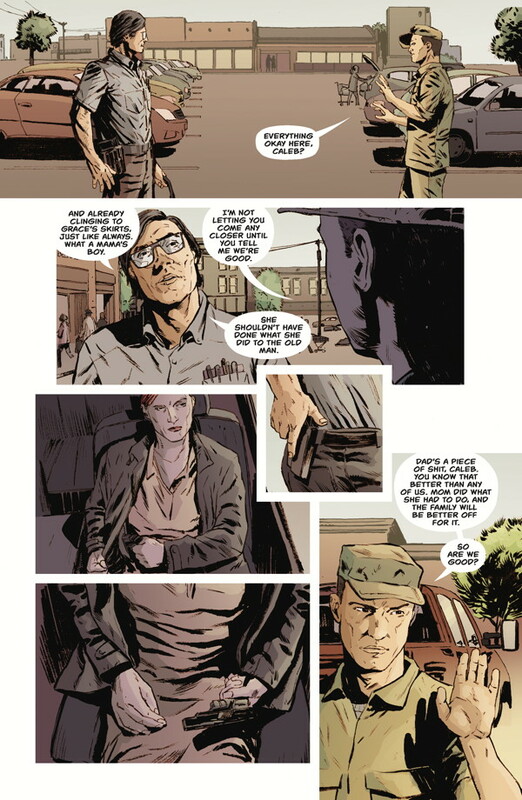 This series feels deeper than DMZ felt, and that one ran 72 issues. I’m hoping for another multi-year epic with Briggs Land. 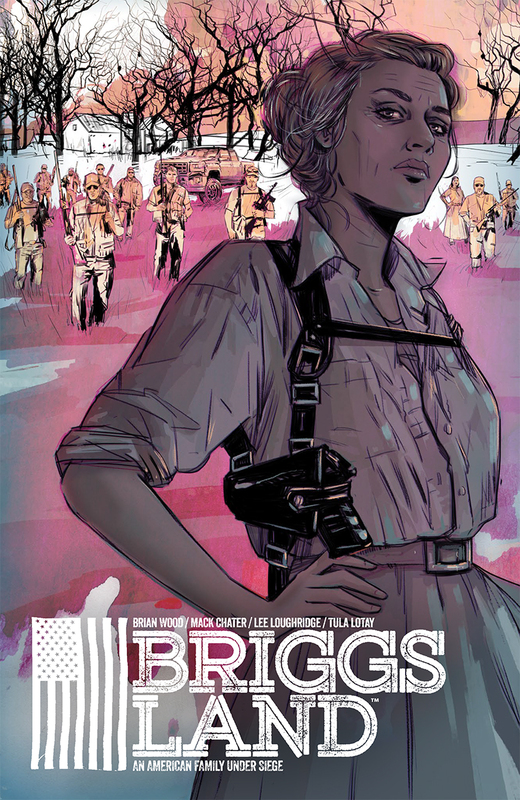 Briggs Land #1, written by Brian Wood with Mack Chater on art, is on sale now from Dark Horse Comics. Briggs Land, nearly a hundred square miles of rural wilderness, contains the largest antigovernment secessionist movement in the United States. 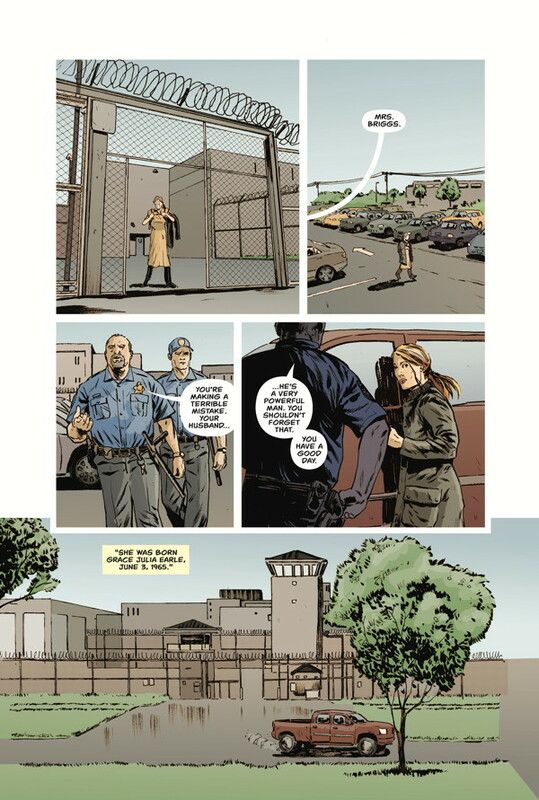 When matriarch Grace Briggs wrests control of the operation from her incarcerated husband, she sparks a war within the community—and her immediate family—that threatens to bring the full power of the federal government down on their heads.